Today HPE released details on their next generation blade servers built on Intel’s Xeon Scalable Processor. Below are the highlights of each model. 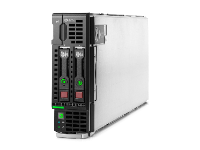 For specific details on the ProLiant BL460 Gen10, review the QuickSpecs here. 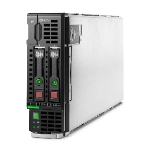 For specific details on the HPE Synergy 480 Gen10, review the QuickSpecs here. Kevin Houston is the founder and Editor-in-Chief of BladesMadeSimple.com. He has 20 years of experience in the x86 server marketplace. Since 1997 Kevin has worked at several resellers in the Atlanta area, and has a vast array of competitive x86 server knowledge and certifications as well as an in-depth understanding of VMware and Citrix virtualization. Kevin has worked at Dell EMC as a Server Sales Engineer covering the Global Enterprise market since August 2011 and currently works as a Chief Technical Architect supporting the Central Region.